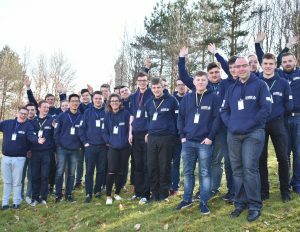 Thirty Young BB leaders from across Scotland came together last week at Stirling University (25 Feb) to share their views and best practice in a move to help shape the future for the BB. Aged between 17 and 25 years old, the event was part of The Boys' Brigade's 'Voice' plans to be more responsive to the views of its members and champion what issues matter to them. Young people also got the opportunity to share what they would like to see more of within the BB programmes. As 2018 is the Year of Young People (YoYP ), which the BB is supporting, participants also took part in workshops, covering first aid, mental health awareness, international opportunities and youth participation. "It was terrific to see young people from across Scotland at YouthVoice18 in Stirling sharing their ideas on the future of The Boys’ Brigade. "It is fitting that this is happening during the Year of Young People - which provides a great opportunity to celebrate young peoples' achievements and also remember the individuals and organisations which support them. The event also included worship (led by a young leader) and various team activities. "We are committed to making sure that the voices of young people continue to be strengthened and listened to. It is also vitally important that young people continue to shape the work of The Boys' Brigade." "I thought YouthVoice18 was a really useful and worthwhile day. It gave the chance for young people from different companies and places to get to know each other and share ideas."